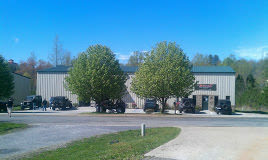 Jeep Hut Off Road specializes in not only Jeeps but any 4 wheel drive vehicle. We are much more than a online store! Feel free to stop into our Jasper, Georgia location for advice, tips, or just to browse our huge selection of awesome Jeep and off-road accessories. We install any Jeep or truck accessory we sell. Backed by ASE Certified Technicians and certified welders we are here and ready to customize your Jeep or truck. And of course we will install any accessory that we sell. Ask about our Jeep Restoration packages.